A lot of people asked me if Thai people celebrate New Year like the rest of the world as the traditional Thai New Year is on 13th of April known as ‘Songkran’. The answer is ‘yes’. Thai people have been celebrating the 1st of January as the first day of the year for almost 70 years. The New Year is a long holiday in Thailand from 31st December to 3rd January. Many people take this opportunity to travel either domestic or abroad. For people who are away from their hometown, it is the time to go home to visit parents and family. A lot of Thais celebrate the New Year by attending countdown events around the country where there are concerts and magnificent fireworks. 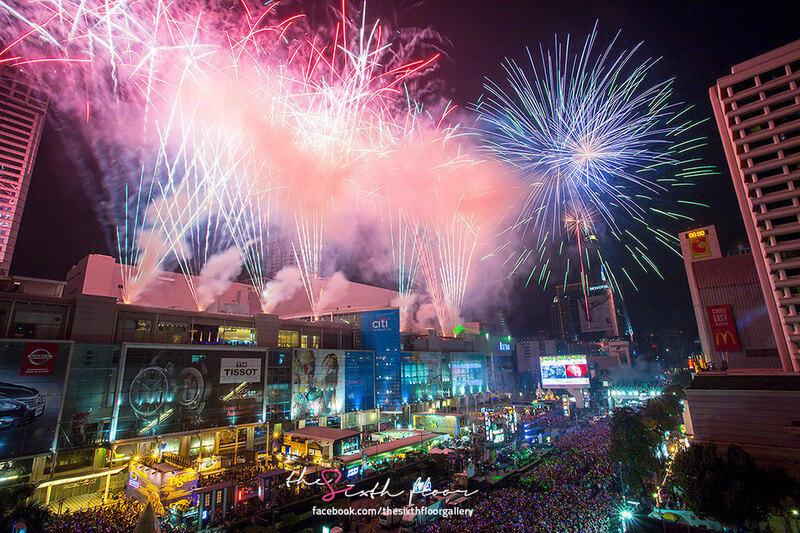 One of the biggest venues in Bangkok is in front of the Central World shopping mall near Chitlom skytrain station. I joined the countdown event there once with my parents and it was super crowded! A number of Thai people visit their local temple to make merit either on New Year’s Eve or New Year’s Day. Thai Buddhists make merit by giving alms to the monks, listening to sermons by the monks, giving food and releasing birds or fish. Some of my friends said that they would attend meditation retreats over the New Year. 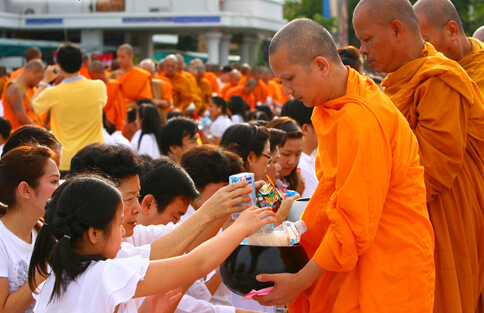 Thai Buddhists giving alms to the monks.